Updated 10/1/2018. The best airlines for flights to Hawaii is in flux. Of course it will in large part depend on where you are traveling from. The two primary choices for cheap flights to Hawaii from west coast cities have been and remain Hawaiian Airlines and Alaska Airlines. Both are highly regarded carriers that have a very wide range of offerings. Their prices on competitive routes are usually but not always similar. Hawaiian Airlines continues adding new routes as their new fleet of eighteen A321neo aircraft comes online. With new flights and more airline interest in Hawaii, the situation is fluid and fast changing. 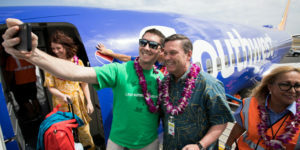 Beyond the bellwethers, we have had multiple announcement regarding upcoming Southwest Airlines Hawaii flights. Specific routes and start dates will be revealed at any point now. United Airlines continues an on-again off-again reassertion of their dominance in Hawaii. United remains the largest carrier to the islands from the US Mainland. Delta Airlines is also serious about Hawaii, and has flights from both their Pacific Northwest base and other cities. A changing environment portends new competition and that translates to upcoming Hawaii deals we are all looking forward to throughout 2019. United Airlines Hawaii flights from Chicago, Denver, Los Angeles and San Francisco increased significantly in 2017. 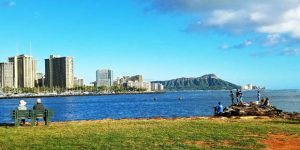 That in addition to their existing daily nonstop flights to Honolulu including Chicago, Denver, Houston, Los Angeles, New York/Newark, San Francisco, Washington, D.C., Guam and Tokyo. New flights which started late 2017 include daily Denver to Kona, Lihue and Maui services (previously seasonal). Maui to Chicago flights increased to five per week also starting last December. United also added flights between LAX and Hilo, Kona, Maui and Lihue. Service frequencies are Hilo daily, Kona and Lihue twice daily, and Maui three times daily. Some of these frequencies have been reduced and we await more clarification on services. The company also had increased San Francisco flights to Maui to five times daily, three times daily to Kona and two times daily to Lihue. All changes represent permanent year round additions. Hawaiian Airlines flies to Honolulu, Hawaii (Big Island), Kauai, and Maui from Las Vegas, Los Angeles, New York, Oakland, Phoenix, Portland, Sacramento, San Diego, San Francisco, San Jose and Seattle. 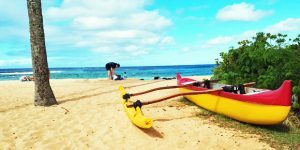 They also offer inter-island service between all islands, including Lanai and Molokai. Hawaiian flies wide-body A330 as well as soon to be retired B767 aircraft to Hawaii. Hawaiian started adding flights in 2018 on their new fleet of 18 Airbus A321neo aircraft for west coast travel. More new Hawaiian Airlines flights should be announced as deliveries continue. Until recently, Hawaiian was the only US airline to offer free meals in coach (see Delta changes below). The company is ranked highly among US competitors and is the champion of on-time awards. First-class offers lie-flat seating on many flights (not A321neo) that are available for purchase, upgrade or by bidding. Inter-island service uses B717 aircraft. Alaska Airlines flies to Honolulu, Hawaii (Big Island), Kauai, and Maui directly from Anchorage, Bellingham (limited service), Oakland, Portland, Los Angeles, San Francisco, Sacramento, San Diego, San Jose, and Seattle. The airline also offers connecting flights to Hawaii from across the US. Alaska flies B737-800 and A320 aircraft to Hawaii. The company is regularly ranked highly among the best US airlines and also has a reputation of on-time service for which it receives awards. They are adding a fleet of Boeing 737 MAX and Airbus A321neo aircraft that should start flying to Hawaii soon. United Airlines flies to Hawaii (all islands) from Chicago, Denver, Houston, Los Angeles, New York/Newark, San Francisco, Washington D.C., Guam and Tokyo. Look for more discounted pricing based on new UAL Hawaii flights and additional competition. United utilizes a range of different aircraft to Hawaii. American Airlines, and Delta Airlines have a flights to and from Hawaii from most areas of the U.S. There can be and often is discounting on these companies as well, which has been the case recently from Seattle, Portland, Sacramento and San Diego. Outside of those cities, however, their Hawaii deals are not as frequent as the airlines above which specialize in flights to Hawaii. Delta began flying from Seattle to Lihue in 2017. With that introduction, and the possibility of other Hawaii flights to be added on top of that, we are seeing see more competition on Hawaii flights from Seattle and Portland. Also note that Delta reintroduced meals on flights to Hawaii. We do expect that trend of free meals to increase across airlines and on more flights. Note: Photo above is of Southwest Airlines plane. 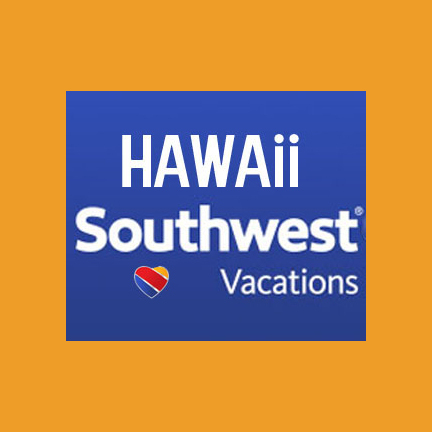 Southwest Airlines Hawaii flights will begin in the near future and we’ll be updating all of our information accordingly. 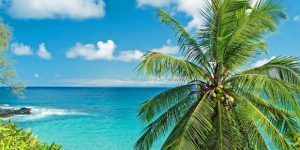 Visit Cheapest Time to Fly to Hawaii for more info and to ask questions.